Today Hillary will be joining me for this weeks STS! We both have a bunch of new books to share with you. :) Hope you enjoy looking at all of our lovely new additions. Be sure to leave your book haul links below in the comments so we can come check them out. I totally forgot to add my review and library books this week. Oh well, next time. 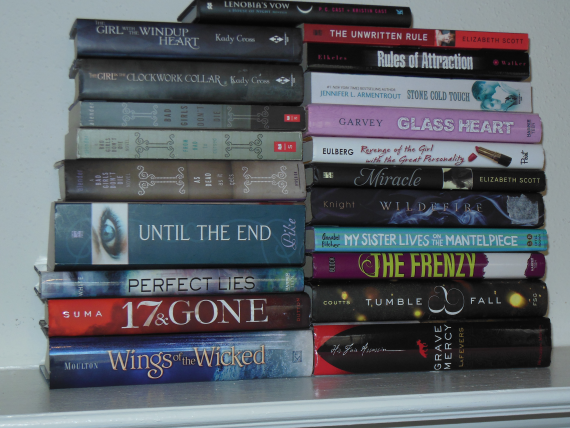 ;) All of the books below are ones I've purchased. Books with a * next to them are either ones she was gifted or won. All others are bought.